Above: Pada Yatra pilgrims stand before Ukanta Malai Velayudha Swami Temple before offering service to excavate silted teerthams (below at left). Okanda Malai, a remote rock-hill on the coast at the intersection of the Eastern and Southern Provinces, has been referred by tradition as one of the places where Emperor Ravana halted for worship on his journeys from Lankapuri to Koneswaram. The theme of taking rest is reflected in the name Ukantai, for it is said that here Lord Murukan and others 'sat down' (utkantār) and rested. Okanda Hill top has by long tradition been cited as one of the places where a divine katir from Lord Skanda struck. Veddas preserved the sanctity of the place with a simple shrine of stick and ola leaves. According to another myth, the third ray from Vākura Hill reached here and came to rest on this hilltop, making it a favorite site for Murukan worship. There is yet a third myth according to which, Valli and Murukan arrived in separate stone boats (which still rest on the beach) to reside on top of the Ukantai Malai. The temple is located along the eastern shores of the country, along which the pilgrims walk to Katirkāmam. 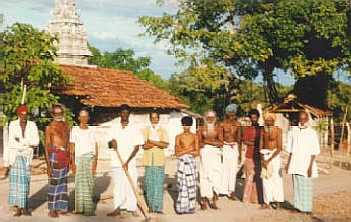 In places like Pānama and Kumana, which are close to Ukantai, Tamils and Sinhalese lived in harmony even down to the present day. Valli Malai gets its name after the Valli Amman temple on this hillock. An image of Pillayār and a Vêl are also found in this temple. The temple for Murukan is small and is only about three feet high. In front of this temple instead of Murukan's vākanam the Mayil or peacock there is the rat or shrew, the vākanam for Pillayār. Close to these temples is a platform under the tree with a fixed vêl, and this may have been the original focus of worship. 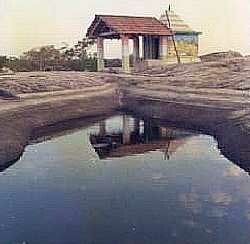 In front of Valli Amman temple on top of the Valli Malai rock hillock are eight natural waterholes in the rock. One of these is referred to as Caravana Poikai; all are said to have been sunk during the Vanniyar rule. 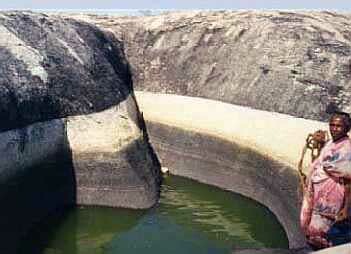 The entire hillock is said to have 32 natural waterholes, from which pilgrims traditionally draw tîrtham water and pour it over themselves to obtain the blessings of goddess Valli who is believed to bath in the same pools, not only in ancient times but to this very day. During the procession, the Vêl is carried in a tray dressed in silk, and hence referred to as Pattu Cāmi. At the end of the water-cutting ceremony, the procession goes to Valli Nācciyar shrine. Here milk rice is cooked by a few selected people and offered to the gods. 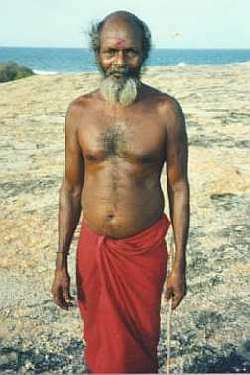 Ascetics are said to reside in the hillocks scattered along the seashore. A prominent samādhi or final resting place is said to be the resting place of one of the famous ascetics who lived here. It is noteworthy that at Okanda Malai, as at Valli Malai in South India, Lord Skanda's abode is at the foot of the hill while His divine sweetheart, Goddess Valli Amman, occupies the summit. This is as though to express silently the fact that at these divine places Lord Skanda places Himself at the feet of Valli Amman, whose station, as it were, is more exalted than that of Lord Skanda Himself. Even today, Okanda remains as a remote jungle shrine, in part due to its geographical location and partly due to the long ethnic conflict, which has made access to Okanda more difficult and even dangerous than ever. However, development work has resumed as of 1999, including the restoration of the ruined 20-mile jungle road from Panama the nearest inhabited village, and the immanent completion of a new temple for Lord Vêlāyudha Swāmi.  For information about efforts to preserve the sanctity of Okanda Malai and its traditions, see this detailed article by the Living Heritage Trust or go to the home page of the Kataragama Devotees Trust. 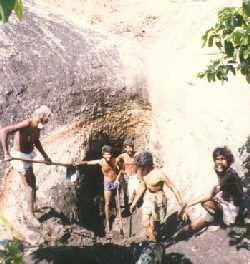 Visit www.Okanda.org official web site of Okanda Murugan sacred site.